From one year to the next new digital technologies are updating the physical world in ways that fundamentally transform mankind’s behavioral patterns. The latest IT-services cover not only users’ lifestyles but also personal healthcare parameters: (smart bands), psychical transportation (self-driving cars) and real-time positioning (GIS tracking). This direction requires new approaches for software development and testing to keep users’ data authentic, absolute and safe. However, the lack of resources, short time-frames and hundreds of other issues force the testing process onto the back burner. The consequences of disregarding the testing process can be sever. Taking for example a low-level bank app, which can be prone to fraudulent actions and put users’ private life at risk. Crowdsourced testing service (crowdtesting) has become a new approach for testing software utilities. It assists in broadening an in-house QA team to rapidly incorporate skilled professionals worldwide. This gives rise to the opportunity to close project gaps that would otherwise remain open for an undesirable period of time. If you‘re not sure what crowdsourcing testing company to choose, we strongly recommend that you review the Crowdtesting provider checklist: make your choice wisely. What is the core value of the project? Can you characterize your audience and their behavior patterns? How often do you plan to release updates? What types of testing are required? Does your app have the features involving several geographic locations? What OS should be used for testing? You can find the relevant information for your region in the Statcounter report. What browser types and versions should be used? Are there any special testing requirements (location, credit cards, accounts for sharing in social networks, etc.)? What additional hardware must be used to test the software app (QR-scanner, headset, etc.)? What are the most popular smart-devices on the market that most accurately correspond to your interests? If you are not sure how to find this information, take a look at our latest “the most popular smartphones” report. What tool must be used for tracking the results? What is the time range for testing / expected deadlines? How must the results be presented, reviewed and handled? 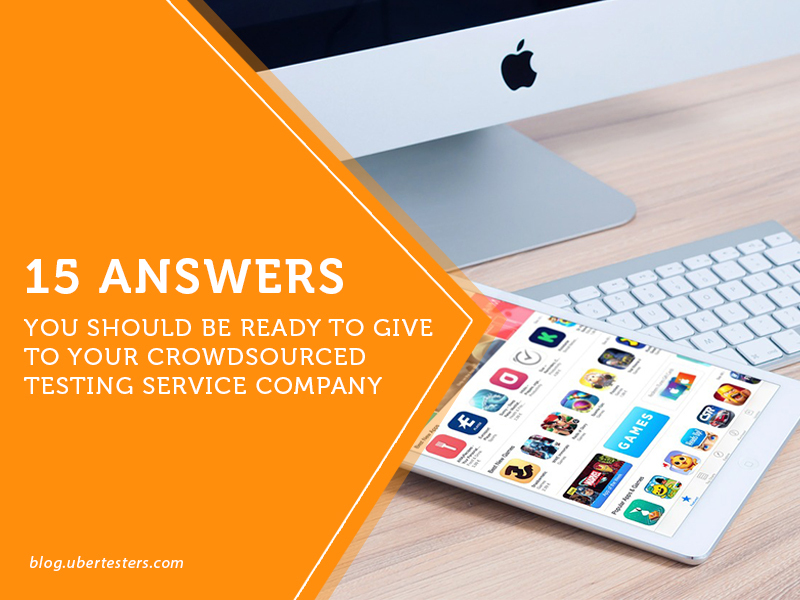 It may seem that the list is quite long and that it may not be necessary to prepare the answers to all these questions until you have started the crowdsourced software testing process. Keep in mind that working on these questions may save you time, energy, nerves and money during the QA testing phase. You will also avoid unwanted confusion, get preferable and more accurate results from your testers and launch your product on time. We wish you the best of luck with your crowdsourcing product testing!